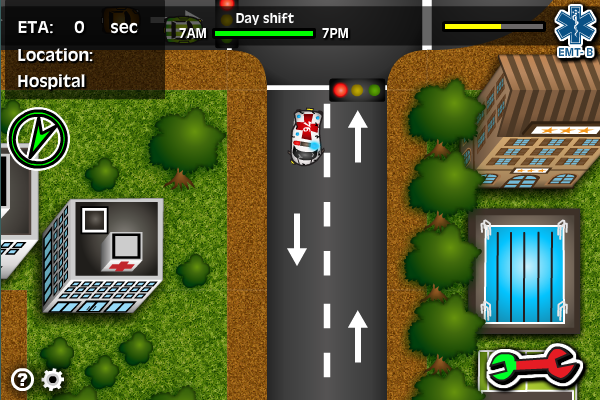 In this game the player assumes the role of an ambulance driver and paramedic. He has to answer as many calls as he possibly can and deliver them safely to the hospital. He controls the ambulance by using the four arrow keys on the keyboard. The goal of the game is to save as many lives as possible.